Imagine a Windmill. 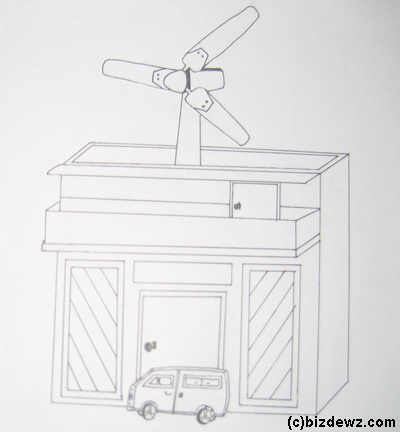 Now think of a human using his power to rotate the blades instead of wind. That’s not fun right? You won’t do this task daily for an hour, even if someone pays you right?But in the gyms you can see people using all their power to pedal the exercise bikes by paying fees. 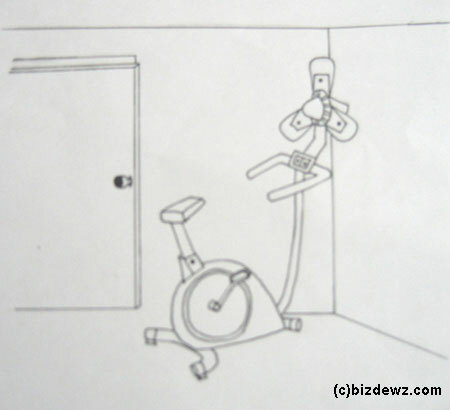 Why waste precious human energy in gyms? Now think of interconnecting different gym equipments like exercise bikes, ellipticals, treadmills to a centralized turbine in a way that the human power is translated to rotate the blades. Yes, we ourselves can generate power. 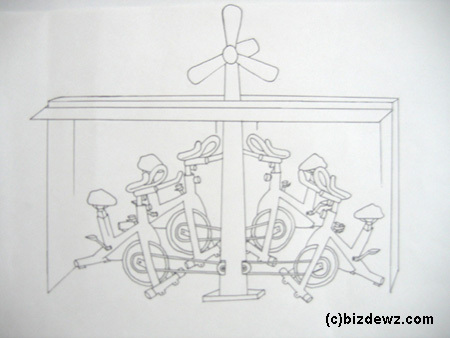 Even individual bikes can be connected to small turbine to generate power, so that people can use them at home too. Well, it will not become a major source of power generation, but it’s still worth a try as an alternate source of energy production. Interesting…but it might not be a reliable source of energy.